We were given the opportunity yesterday to preview the much anticipated Muppets sequel at the Disney Parks Blog Meet-up in Downtown Disney. 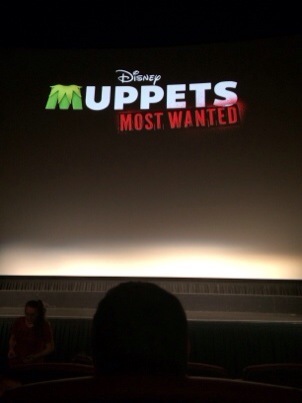 While we were asked not to disclose the plot details of the movie, I can tell you that this experience was pure Muppet fun! It had everything that we have come to expect from our furry friends including funny bits…catchy musical numbers (we are still singing them today)…and those incredible lines and cameos that the grown-ups appreciate. This movie reminded me of the Muppets films from the 80’s with a little splash of pop culture. The movie hits theaters nationwide on March 21st. This entry was posted in Disney Movies and tagged Muppets, Muppets Most Wanted. Bookmark the permalink.